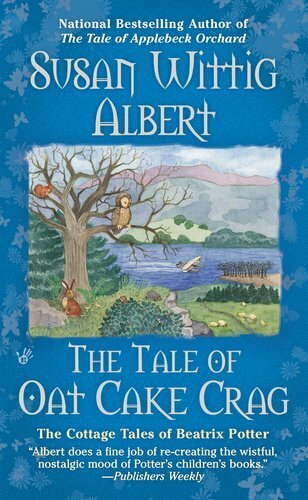 The Cottage Tales of Beatrix Potter series by Susan Wittig Albert is filled with many delightful ingredients — cozy mystery, historical Lake District setting, fantasy elements. 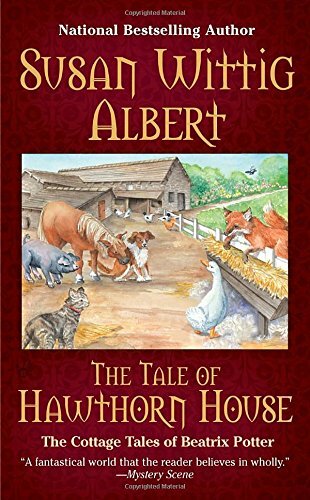 Albert uses the beloved children’s book author and illustrator, Beatrix Potter as her main character. As a single female Londoner, Beatrix gets a mixed welcome to her new home in the village of Near Sawrey where she goes to her farm to write and draw her books as well as grieve for the loss of her fiance and escape her domineering parents. Over the course of the series Beatrix solves mysteries large and small while slowly becomes an integral and respected part of the village community. Each book features a main mystery as well a couple of smaller intriguing issues that are neatly concluded by Beatrix’s keen observation skills, quick wit, and compassionate heart. 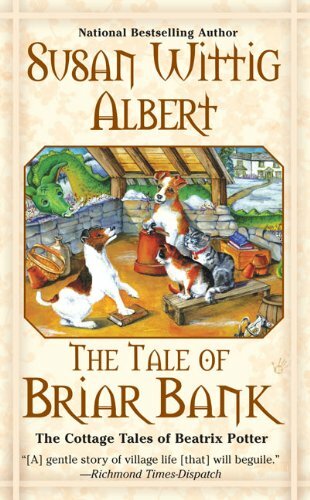 Albert adds a whimsical fantasy addition by including a parallel problem faced by the animals of the village community who act and talk in the same manner as Beatrix’s literary creations – helpful dogs, generous badgers, marauding rats, even a brave dragon makes an appearance. The language of this series is definitely within the reach of readers as young as upper elementary or middle school and the light fantasy element would be appealing to them. 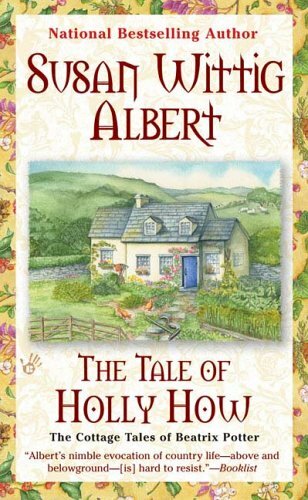 Albert’s attention to historical detail brings you into the heart of village life of Near Sawrey, as her characters react and reflect on their daily life, enjoy meals, gossip about neighbors, apply manners according to social status, dress for outings, and work the land of the Lake District. The land itself, like the people and animals, becomes a character in how it influences village life. At least once in each book, Beatrix takes time to just appreciate the land with walks or picnics or sketches. The land feeds her need for beauty as well as provides a venue for reflections. In addition, Albert provides historical commentary in Historical Notes, Resources, recipes, maps, character lists, and glossaries of Lake District dialect words. 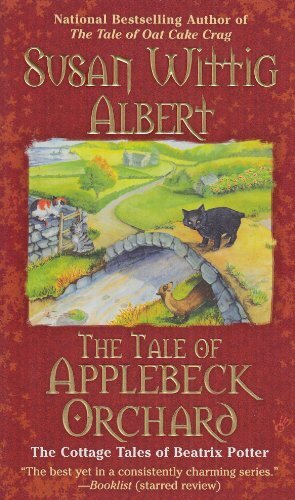 This series would make a fine bridge into historical novels and period literature for young readers. Readers interested in the life of Beatrix Potter will also enjoy seeking the biographical references listed in the Resources. 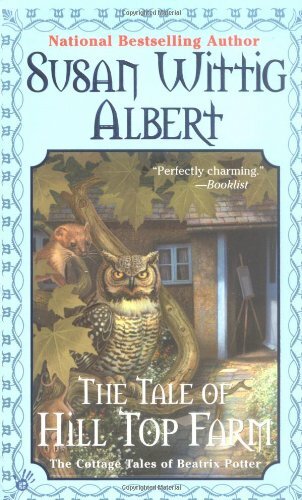 Even though, readers know that the series is fiction, Albert makes Beatrix such a plausible and real character that we want to spend time with her. We cheer her steps as she grows from her grief, matches wits with the local matriarch, and discovers the answers to local mysteries. We watch as her makes friends, rebels against her controlling parents, and finds a new romance. We want to become her friend and just sit down and share a cup of tea while she spins another fascinating story. This is the perfect series to read on a picnic blanket in front of a beautiful lake view with some tea and scones. In The Cottage Tales of Beatrix Potter, Beatrix often gathers clues while sharing a cup of tea visiting different villagers. The tea served was probably a black tea where the leaves go through an oxidation process in order to produce a richer flavor. The heartier flavor of black teas enable it to be served with either milk or lemon. Ceylon or Darjeeling teas would be examples of teas that would be served any time of the day. If Beatrix went on a morning visit, a strong tea, such as Assam or English Breakfast would be served. A lighter tea, such as Earl Grey or Formosa Oolong would be served in the afternoon without the milk or lemon due to its more delicate flavors. Scones are a traditional treat to serve with tea. 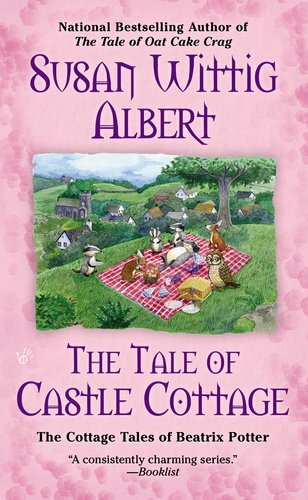 In the Cottage Tales series, Beatrix got her scones from a friend that ran a village bakery. This recipe was originally developed for an office gift-in-a-jar exchange. The basic dry mix was layered in a glass jar topped with the dry ingredients for the cranberry orange variation and decorated with a pretty cloth bow and recipe card with the instructions. Note: the addition of an egg is not a traditional ingredient in scones, however, I found a prize winning recipe using an egg and have discovered that the texture less crumbly making it easier to spread toppings. You can omit the egg for a more traditional recipe with the addition of a TBSP or two of extra liquid in the wet ingredient section. Start with dry mix in a bowl. Add any flavor variations from above. Mix gently with a spatula until the dough just comes together. Using a cookie scoop, drop dough balls on to a sheet pan and lightly pat down to flatten – makes about 12 individual or 24 mini-bite scones. Optional: sprinkle sugar on the tops for a slightly crunchy, shiny topping that browns faster. Bake for 8-10 minutes, depending on size, until the edges are just lightly browned on edges – tastes best warm from the oven.